Dancer Nina (Natalie Portman) lives a sheltered, ballet-obsessed life with her over-protective, slightly mad, ex-ballerina mother (Barbara Hershey). When Nina is promoted to prima for a new production of Swan Lake, her director (Vincent Cassel) encourages her to explore her dark side so that she can epitomize the dual role of the Swan Queen and the Black Swan. This exploration, and the claustrophobic life with her mother, combined with her insecurities over the ambitions of a new arrival at the company, pushes Nina towards the snapping point. Director Darren Aronofsky intends for Black Swan to be the companion piece to his 2008 film The Wrestler. Despite the difference in subject matter, both display a fascination with specialist professions; both have cringe-inducing moments as a result of the potentially crippling physical challenges of these professions; both subtly examine the tension between age and ambition; and both are shot using mostly handheld cameras in order to invade the personal space of the actors/characters. 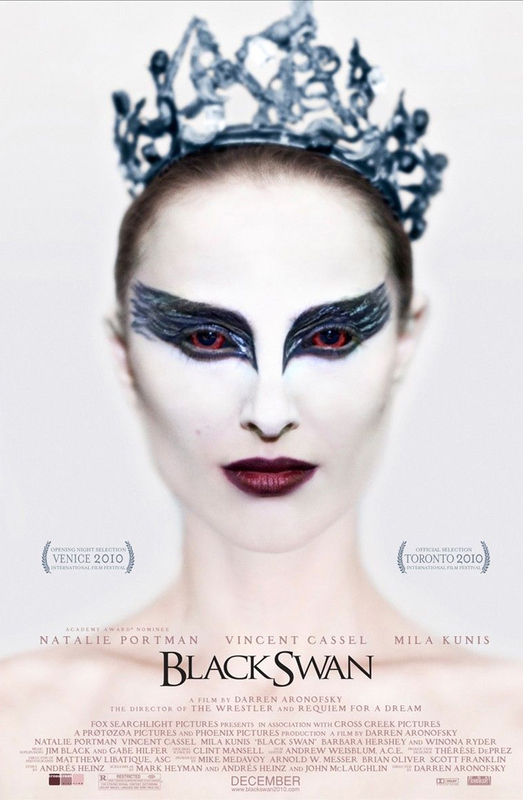 Black Swan won’t be to everyone’s taste – it’s disturbing and sometimes confusing – but it’s an impressive offering from one of America’s most exciting directing talents.